The Summer of 2015 will probably be remembered very fondly by most Central New Jerseyans. It never got blisteringly hot. It was never chilly to speak of, while at the same time, the thermometer broke the 100 F (37 C) mark only once or twice. But it WAS dry. Very dry. The last serious rainfall that we got this Summer was Field Day Weekend (of course). Since Field Day, you can probably count the number of days that it has rained on both your hands, and still have a finger or two left over. Lawn mowing was sporadic. During a normal year, that's a weekly chore. This summer, there were stretches of weeks before mowing became necessary. My lawn is crunchy in spots, bare in a few, and green in others. The trees have been dropping leaves early, due to stress from lack of rainfall. According to the weather people, as of right now, we are about 5 inches (13 cm) below where we should be in rainfall for the year. 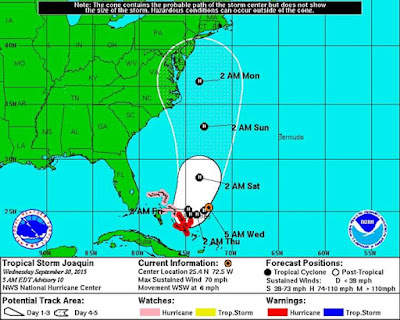 Say "Hello" to Hurricane Joaquin. He may be visiting us this weekend. As always, weather prediction is still more of an art than a science, but it's looking like a fair assumption that he will be bringing us a lot of rain, even if he downgrades to Tropical Storm. As it is, we're experiencing a rainy week. Joaquin might just be icing on the cake. Come next Tuesday, we may have received a drought busting 5+ inches of rain. The ARRL has announced that the Hurricane Net has already been activated. The Simulated Emergency Test is due to be held this coming weekend. Maybe it won't be so "simulated" after all. Our fingers are crossed that we will not be experiencing another Sandy like result, where power was out for five days. 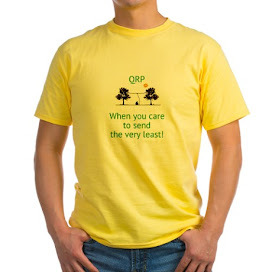 QRP - When you care to send the very least ! Yes, Holy Father, I had to resort to picking up the microphone in order to work the Special Event stations commemorating your visit to the United States. Oh, the humanity! 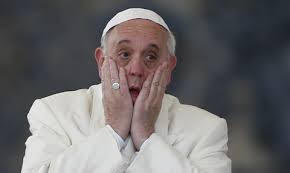 I know, Holy Father, I am ashamed and shocked too. But no matter how long I tuned, there were no CW stations to be found, so I had to dig out my microphone so that I could work K2P and WM3PEN on 40 Meters. From here on, I promise to go to back on the narrow bandwidth path. Holy Father, if you have a few spare moments, would you please tell those fine Amateur Radio ops who are there in Philadelphia with you to start pounding some brass? THAT would have been nice! 17 Meters was nice during lunchtime. 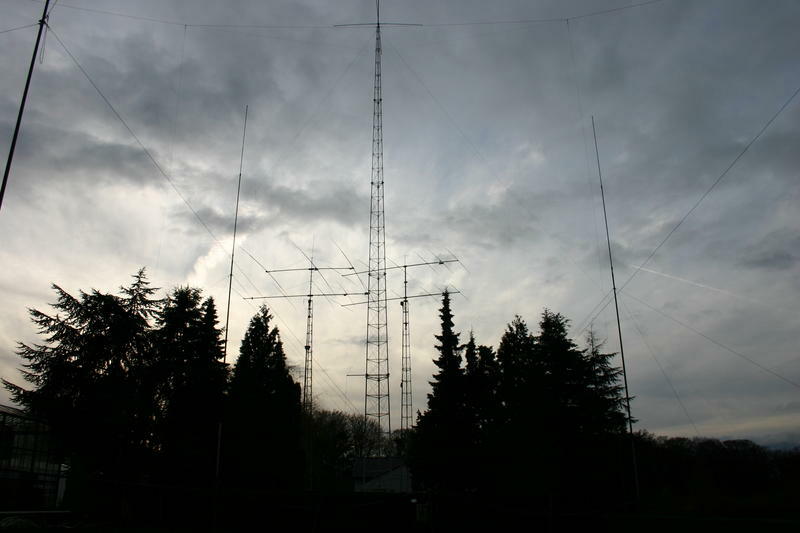 I worked YU65GMN, which is in Serbia. I am wondering if with the "65" in the call sign, if this wasn't some kind of special event station. Then I worked NP3CW a little farther up the band. I've worked Julio a couple of times before, and I just wanted to let him know his signal was loud. The catch of the day would have been Madagascar. 5R8UI was very loud, and this may have been the first time I've ever heard Madagascar on the air, if memory serves me correctly. Even though he was very loud, my 5 Watts and my Buddistick were not equal to the task at hand ...... this time. Perhaps if I had more time, I would have snagged them. But not today. So, what's life without goals, anyway? I spent a good portion of lunchtime trying to bust the pileup for T46X on 17 Meters. No dice today, and that's a bit disappointing. Usually, NJ to Cuba is "easy-peasey-lemon-squeezey", but there's 8 days left to work them. Maybe I'll have better luck from home with the "big antennas". After T46X signed QRT, I still had some time to kill, so I went on down the road to the 20 Meter QRP Watering Hole environs. There I heard K7TQ calling CQ. Randy K7TQ and I have worked many, many times before in the various QRP Sprints. Over the years, it's never been more than that, though, so I jumped at the opportunity. We were both 449 and fighting QSB, so it wasn't a bona fide ragchew, but it was pleasant and (very) cool, nonetheless. Randy was working with 1 Watt to a Yagi at the 60' (18 Meters) level. We had good enough conditions to exchange weather reports and for Randy to tell me how he participated in the Salmon Run last weekend as a mobile station. 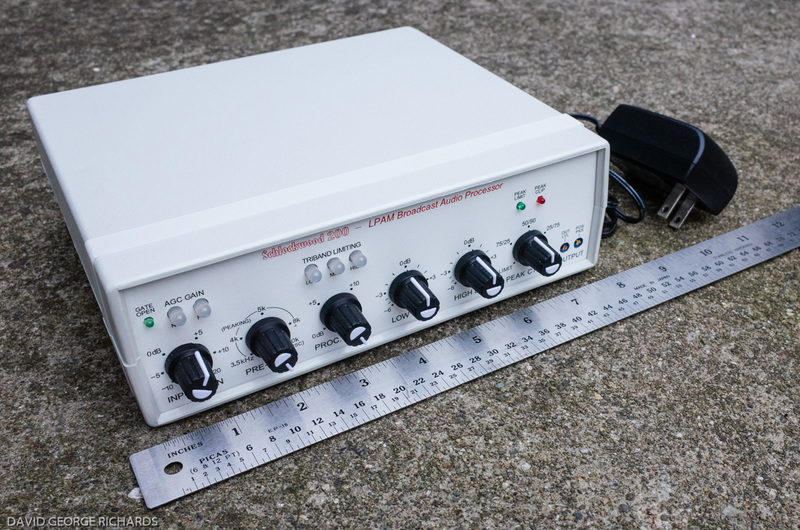 Randy Foltz K7TQ is one of the what I-consider-to-be "QRP Celebrities". 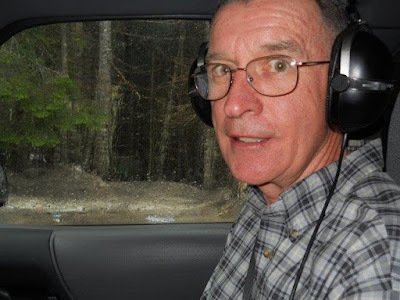 He is extremely well known throughout the QRP community and he appears in just about every QRP Sprint and contest that there is. It was a pleasure to exchange a little bit more than the usual "559 ID 5W / 559 NJ 5W". K7TQ is one of those iconic call signs that just about every active QRPer recognizes right away. The North American QRP CW Club (NAQCC) will be celebrating its 11th anniversary the week of October 12-18 with some fun on-air activities. On Tuesday evening of that week (0030-0230Z Oct 13) we will have our usual monthly sprint but with the bonus that all NAQCC members who participate will be automatically entered into a drawing for some great prizes. More detailed information about our anniversary celebration can be found in our September newsletter at http://www.naqcc.info/newsletter_207.pdf . Information about the NAQCC, including a membership application (it’s free), can be found at http://www.naqcc.info/ . Which hasn't happened in a while. Could Ol' Sol be coming back to himself? 1) KA4CLM - Arn in Live Oak, FL - but the 20 Meter QSO got busted up by QSB. 3) AB7RW - County Hunter in Iowa. I'm not a County Hunter, but just joined the pileup to see if I could bust it. I did. 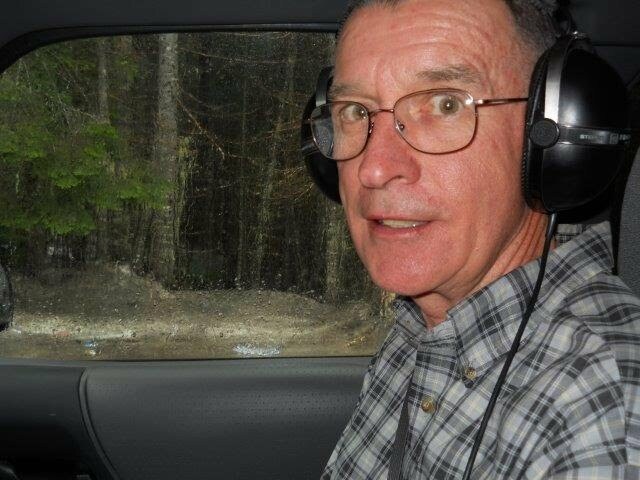 I wanted to work Serge EW1TZ in Belarus on 17 Meters, but he wasn't hearing me. Funny, he was stronger that Alex in Slovenia who heard me first try. 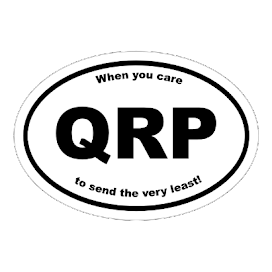 Funny stuff, this QRP DX is. More activity would be nice. 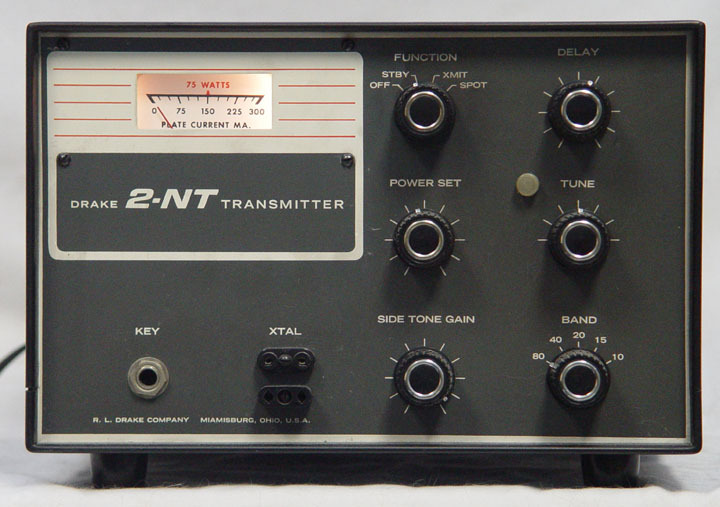 Thanks to Bob W3BBO, I have a line on acquiring a Drake 2-NT, which was my Novice transmitter. Last weekend, Bob and a friend went to a meeting of the Lake Erie Boatanchors, and spotted one. He knows I have been looking to get my hands on one, so he got the owner's contact information. We have been corresponding back and forth and it looks like I may purchase it soon. The next question will be - what to use as a receiver? As mentioned before, I had a Heathkit HR-1680, but the prices I have been seeing on used ones are a bit more than I would like to spend. Any suggestions for a decent Novice receiver of the 60s or 70s that wouldn't cost an arm and a leg? 1st lunchtime DX in two weeks! This week is the week that I refer to as "Hell Week" at work. One week, every month, we do inventory at all of the 40+ remote locations that the company owns, nationwide. We also do disposals at the same time. I'm the one who coordinates and schedules the technicians doing the inventories. I also arrange for either the shipment or pickup of old outdated computer and networking equipment to go to a recycling facility. I also have to examine and sign off on each inventory, a time consuming process. We accomplish this by breaking up the sites over three days - Monday, Tuesday and Wednesday. Needless to say, those days are hectic and lunch is eaten at the desk, in order to be available for telephone calls, from both technicians and trucking companies Today was the first day this week that I have been able to take a breath and the first day that I was able to make it out to the Jeep for some lunchtime QRP. The bands seemed to be inactive - not dead, as I was hearing some signals - but not much activity. Then, on 17 Meters, at about 18.072 MHz, I heard a very loud JW/OX5M. I knew that OX is Greenland, and I was pretty sure the JW prefix was Svalbard. In any case, he was 599 at peaks with QSB taking him as low as 579 at times. This was one of those times when I immediately got the gut feeling that "5 Watts will be enough." Since there wasn't all that much other activity (at least that I was hearing), I decided to stay with him until he was in the books. It didn't take long. Mia was running the pileup (split, of course) with great skill, answering a call and then moving slightly up after each - eventually running the "racetrack pattern". I absolutely love when DX stations do this, as I feel it gives the QRPer a better than average shot of busting the pileup. In this case, it becomes a matter of figuring out the pattern, placing yourself on the right frequency and then carefully timing your call. As someone else said, "Wits ...... not Watts." Maybe that sounds a little too pretentious - how about "Technique ..... not Watts."? Or better yet, how about "Successfully getting in the way"? I had Mia in the log within about 10 minutes worth of trying. Did I mention how he was managing the pileup with great skill? Not only that, but he was also giving out his callsign VERY frequently. How many times have you run across the pileup, only to have to wait agonizing minutes for the DX to give out their call - only to find out it's someone you have worked recently, or perhaps it's not anything you particularly want to chase at the moment? I have no idea what Mia was using up there on Svalbard, but his signal was terrific and this image from Reverse Beacon Network bears that out. Thanks, Mia, for your great ears, patience and skill. You made my work day all that much nicer! For every dark cloud, there's a silver lining. I was hoping to go to the Delaware Valley Radio Association Hamfest this Saturday. It's being held in a park not all that far away from where my sister lives. I know the area rather well and have been there before, so finding it would not have been a problem. The only Hamfest I have been to this year has been the Raritan Valley Radio Club, of which I am a member - so most of that Hamfest is spent working. My darlin' wife Marianne reminded me that our son, Joey, has a dental appointment for 9:00 AM this Saturday. She's working, so I am on the hook. I called in an attempt to re-schedule, but there are no open Saturday appointments until January. So, while there will be no Hamfest for W2LJ this weekend, the consolation is that both QRP Afield and the NJ QSO Party are this weekend. As of this moment in time, the forecast is for clear and sunny skies with a high of 85F. The plan is to set up the Jackite in the backyard, hoist up at PAR END FEDZ and go to town (hopefully), for a while in the afternoon. We've gotten some rain for the first time in a very long time, so lawn mowing may have to happen first - but after that, I should be a free man for the afternoon. Now all I need is for Ol' Sol to cooperate and not throw a temper tantrum, or flares, or x-rays, or whatever he's prone to throw. All of you are owed 2014 certificates that I just plumb forgot to mail out! I found them in the box that I keep the certificate paper in. Rest assured they will go out and you will have them - very soon! My utmost apologies, guys. How can you pass up something for free? In case you are not aware, you can pick up Bill Meara's book, "Solder Smoke" for free from Amazon.com. The actual "in your hands" paperback book is $19.99 (from Amazon), but the kindle edition is free. You don't need to own a kindle to read this, which is the beauty of it. The kindle app is also free, and you can load it onto any Windows PC or Android device. Sorry, I'm not up on Apple devices, but something tells me that the kindle app is probably available for them, too. So how can you pass this up? Do you like these band conditions? I do not like these propagations. They fill me with much trepidations. I do not like these band conditions. I want to play with my radio. But the sun don't want to make it go. I want the K-index to come down. Until it does I'll wear a frown. Now that the shack is cleaned, and I can move around down there and actually do things, what's next? 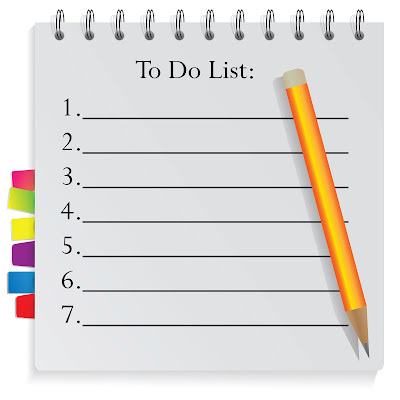 It seems there's always a list of stuff to be done. 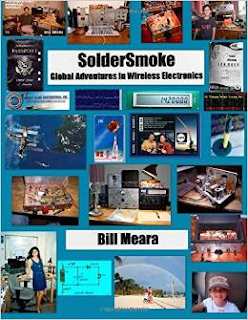 These are the tasks that I hope to accomplish Amateur Radio-wise, in the near future. 1) First and foremost - get the Skeeter certificates designed, printed out and mailed out. Yes, a new certificate is needed as this year's rendition (and hopefully, the certificate for years to come) will incorporate the new "official" Skeeter Hunt logo as designed by Jeff Murray K1NSS. 2) Finally get to building my Ozark regen receiver kit that I ordered from the 4 States QRP Group. 3) September 19th - QRP Afield. Don't know if there will be any rule changes this year, but here's the link from last year. Also the same weekend is the NJ QSO Party. 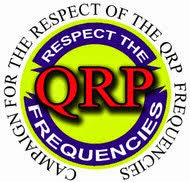 I really want to attempt to make somewhat of an effort in joining in on the NJQP as a QRP station this year. Maybe I can combine the two events. 5) SET in October. Last year, I scripted an event for the South Plainfield CERT/RACES/ARES team. This year, I am expecting that we will be involved in whatever Middlesex County is planning. Our county's RACES/ARES program was dormant for a long time, as the Director became ill and no one immediately stepped to the plate to fill his shoes. We now have at least two really competent Hams at the helm now and we should be moving forward from here on out. 6) I recently ordered and received the upgraded KX3 heatsink from Elecraft. I want to get that installed and get on the air with the shack KX3 for some PSK and maybe some JT contacts. And maybe, just maybe, participate in the RTTY Roundup in January, which I have not done in about 20 years. For about five years in a row, in the mid 90s, I entered every year and always met my goal of making over 100 RTTY QSOs. That would be fun to get into again. 7) SKN this year will be conducted exclusively with the HW8. Again, I owe the pleasure of having this beauty to Dave KD2FSI. Ah, the memories! Thanks, again, Dave. I don't think I'll ever be able to say that too much. Of course, in between all this stuff comes important family and volunteer events that I am involved in. Family always comes first and supersedes anything else. 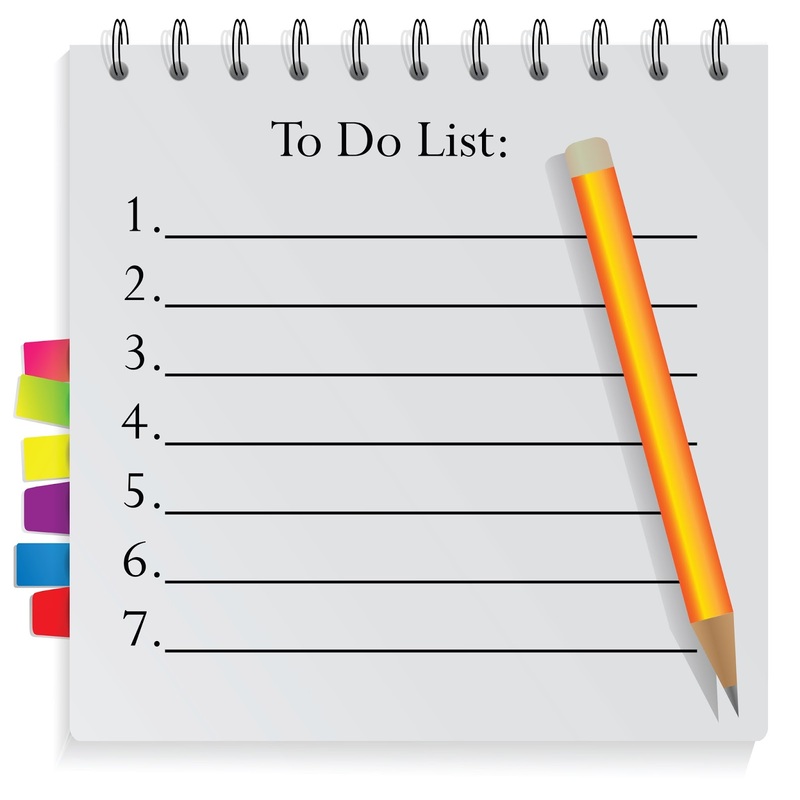 Church and volunteer activities come next and then Amateur Radio. Whew! No wonder it's soooo hard when it comes time to actually stop, step back and take a breath for a while. It gets to the point where all this activity becomes automatic and inactivity (rest, by any other name) just feels so weird and out of place. you can sleep soundly tonight! You have no competition from W2LJ - whatsoever. I have finished the 2015 Skeeter Hunt Soapbox and have posted it to the Web. A bona fide Web designer probably could have done in an hour what took me a lot longer to accomplish. And I bet it would look a lot better, too. Mr. Originality or Mr. Creativity, I am not! In all their non-glory, they are there for your perusal. Just click and go! The bands seemed pretty dead to me today, unless you were operating in the CW Open, which is being sponsored by the CW Ops. Since I'm not big on long contests I didn't participate, but I did pretty much finish up the shack cleaning / reorganization project I started a few weekends ago. I didn't take any "before" photos, as it would have been just too embarrassing; but here's an overall "after" photo. It may look like it's still cluttered to you, but believe me, this is day and night different from what I let it get to. Here's a close up of the operating desk. You can see the KX3 with the KXPA100 amp to the right. Above it is the HW8 and power supply that were gifted to me by Dave Hackett KD2FSI. The Begali paddle goes with the KX3, my Elecraft Bencher paddle goes to the HW8. To the left of the HW8 is an OHR WM1. My laptop and the auxiliary monitor have the Skeeter Hunt logo as their desktop background. I also took the world map that was on the wall above the operating position and moved it to the side. I used the space to display my meager collection of operating awards. You can see the Flying Piggie that hangs from the ceiling. The DXCC certificates and my cherished QRP-ARCI awards are below them as well as my WPX certificate. Here's a closeup of the QRP gear. A set of my old N2ELW license plates hang above the shack doorway. These were the ones I had on my Nissan Sentra back in the late 90s. That's why they have the "-2" on them, as they were a second set. The original set were on my 95 Jeep Wrangler, which got totalled in a hit and run accident. I wasn't able to get them off before the Jeep got junked. This is my version of my "Fortress of Solitude". So if you're ever unfortunate enough to actually meet me on the air, and it's not lunchtime when I'm at work, or during an outdoor QRP event - this is probably where I'm sitting. I was able to have a QSO with ON4UN on 20 Meters during lunchtime today. It took a huge net to grab this little fish. Thanks John, for pulling my tiny little signal out of the aether! It was this time of year, from August 28th to September 2nd, 1859 that the Earth experienced what was to be known as The Carrington Event. 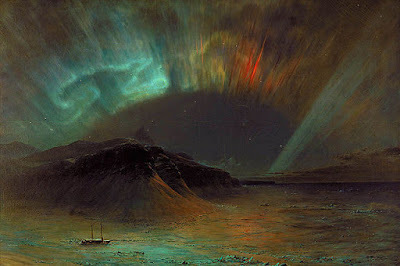 On September 1st, a solar flare was observed by two British amateur astronomers, Richard Carrington and Richard Hodgson. This was a coronal mass ejection that occurred during Cycle 10. It was a solar storm of such great intensity that reportedly, people as far south in Florida and Cuba were able to see aurora. In the Rockies, gold miners woke up in the middle of the night and started preparing breakfast because they thought it was daybreak. The aurora was so bright here in the northeast, that people outside were able to read newspapers by the aurora's glow. Telegraph stations (our forerunners) were hit particularly hard. It was reported that some telegraph poles threw sparks into the air. Telegraph operators reported that not only did they receive shocks when they tried to operate, but that they were also able to continue to operate their telegraph apparatus after disconnecting it from the power supply. I can only imagine the damage that would occur today if we suffered a direct blast from the sun as we did in 1859. I'm pretty sure that not only would the power grid be very badly affected, but that telephone and radio communications of all types would probably be non-existent, and much, much more. Boy, the sunspot cycle is definitely on the decline. And it's not a gentle "let's go down the water slide into the pool" kind of decline. It's more of a "let's do a belly-flop and let's get soaked" kind of decline. Just a few months ago, I was going out to the Jeep during lunchtime. 2 or 3 DX QSOs during lunchtime was relatively normal. 4 or 5 was a treat. Lately the bands have been dead, dead, dead, DEAD! I tried to work Danny KD0SZS on 20 Meters and it was a struggle. Warren, NJ to Springfield, MO was a struggle. Danny gave me a 459 and I gave him a 559. Those RSTs were made moot by the QSB that decided to "pull the plug" on both of us. "Look, Ma ...... no acne!" 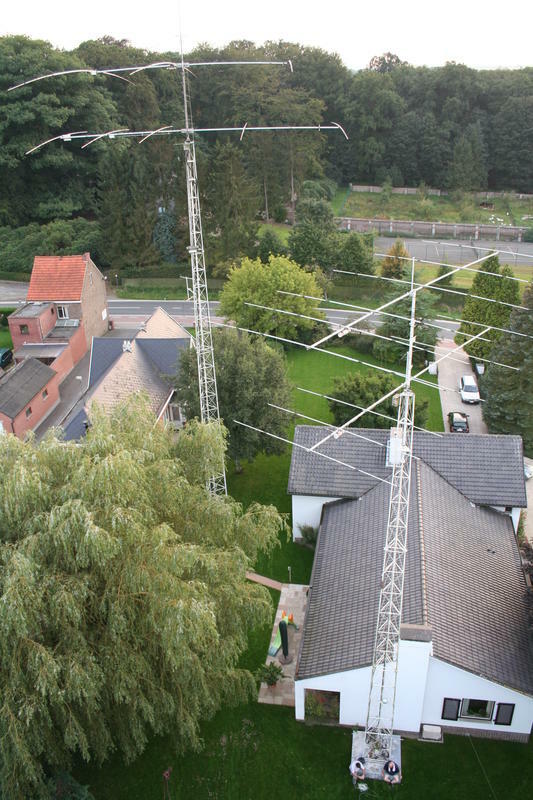 15 Meters was dead, 17 Meters had one QSO going - a G3 station with a W7 station. Both were pretty loud, but were engaged in a friendly ragchew - so I left them to their conversation. 20 Meters had some signals, so that's when I decided to go on up to "the watering hole". I heard Danny call CQ and we exchanged the basics - and that was it. Here's hoping that conditions improve somewhat as we head into Autumn.